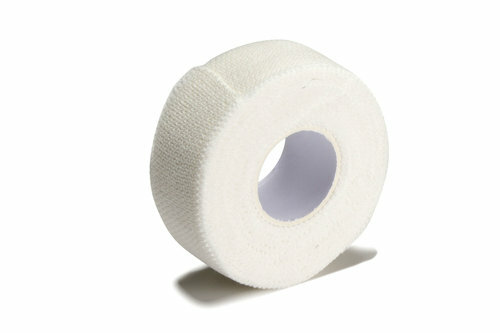 Ideal for quickly sealing up wounds during matches or providing additional support, make sure your kit bag isn't missing this multi-purpose White Elastic Adhesive Bandage Roll in size 2.5cm x 4.5m. This quality bandage tape is 2.5cm wide, making it ideal for dressing smaller wounds and has a sticky adhesive surface that can be wrapped around key areas for support. 4.5m in length, there is plenty to last the whole season and beyond. A great addition to a player or physio's first aid bag, make sure yours has the Elastic Adhesive Bandage.